76% of travellers are willing to pay more for a hotel with higher ratings. 89% of travellers choose their hotel based on internet reviews. 39% of travellers regularly visit the same city. Goal: Take control of customer relations from the very first day. Goal: Cut down on cancellations and reassure your customer. Goal: Anticipate their needs and get an exceptional experience ready for your customer. Goal: Increase your hotel revenue. Goal: Make check-in smoother for better customer satisfaction. Goal: Get 100% of customer emails. Goal: Identify potential opportunities for loyalty. Goal: Prevent bad comments on the internet. Goal: Become truly aware of your own bad points and strong points and be able to act accordingly. Goal: Automatically share your customers' experiences on TripAdvisor and Google. Goal: Directly create customer loyalty. National days, public holidays, birthdays, etc. Each event has its own comms campaign, to make sure your customers remember you. You can also compose your own custom campaigns at any time. Goal: Make your e-mail campaigns as easy as possible. Type of traveller, nationality, whether they know the region or not, date of birth, etc. The more you know about your customer, the more targeted, accurate and effective your communication will be. Goal: Take advantage of 100% of your customer base. Ability to maintain contact for up to 3 years after your customer checks out. You will never again have to worry about your email campaigns, as the “Expérience Fidélité” (Loyalty Experience) option will do it for you. Goal: Increase your percentage of loyal customers and cut down on your commissions. Today, computer technology has become a key part of our daily lives: iPhone, laptops, sync-ed calendars, Internet, Netflix, etc. This powerful tool has revolutionized the way we live and continues to do so day after day. But what does that mean for the world of hotels? A great number of tools have also been created. 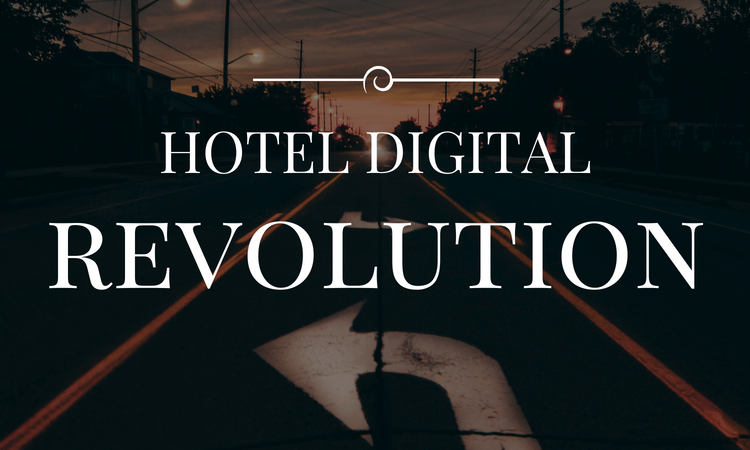 Some have been so revolutionary that your hotel can no longer do without them. Others were great ideas but soon fell by the wayside. What does the future hold for us? What path forward emerges, announcing the next set of “must-have” tools for the hospitality business? To answer this question, let’s take a look at the past! 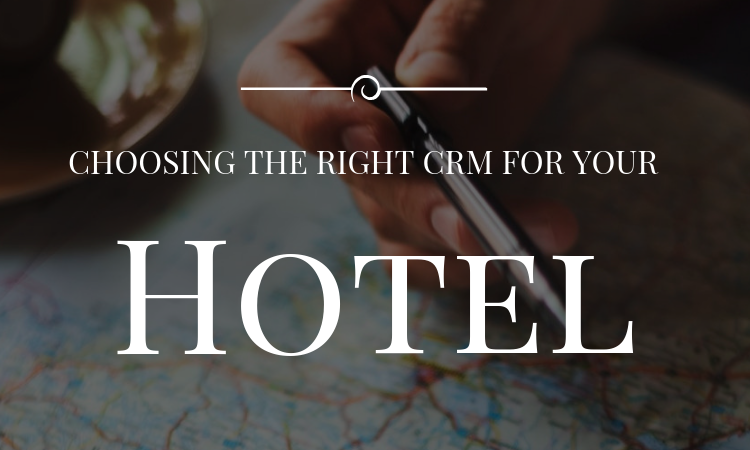 When marketing CRM, I often bring the subject up with hoteliers. But most of the time they don’t really understand the concept. Why not? 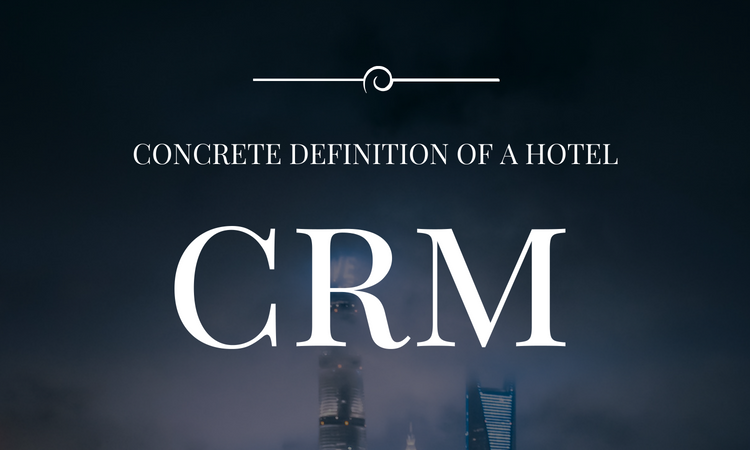 Because in the past, many companies have used the term incorrectly to describe systems that aren’t CRM, or are only a small part of a CRM system. A CRM system is not a mailing solution. A CRM system is not a customer database. A CRM system is not a customer satisfaction system. A CRM system is not a retention technique. It’s ALL of the above, and much MORE. In this article, I’m going to focus on explaining what the major market players mean when they talk about CRM. And I’ll add my own personal conclusions, as usual. Although many solutions are not yet available on the market, it is important to create a road map to guide you when it’s time to take the next step and select a CRM. You will need to be able to choose the right solution for your needs. The best way to start is by identifying the general requirements of different types of hotels. That is what I will aim to do in this article. NOTE: these are general requirements, analyzed over four years of regular contact with hoteliers. You may of course have other needs that are specific to your hotel and your management style. This article will provide you with a basic overview of what you should be looking for. I hope you will find this information interesting and useful.